Once you start a new level using one of these passwords, there will be enough money for you to buy new weapons and potions. strive to complete your quest. 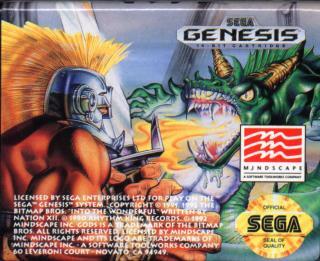 and another excellent port from the almighty Amiga. Oh yeah!!! This is a great platformer to get. I just recently picked this one up for a measly 2.99 where I live and I must have played it for easily 3 hours before switching to another game. the graphics are really good but sometimes complex in that switches and interactive items can sometimes be overlooked easily. The music is also very very good and is a powerful driving force in the game. However, it is simply too loud most of the time. I am not as sure about the sound effects since I couldn't quite hear them most of the time. Also if your looking for a good challenge...then this game will not only satisfy you, but may take you for a run instead! Many monsters appear from nowhere behind, above, and infront of you to keep you on your toes the whole time. Great stuff! A okay game. Very very difficult, a good challenge. I'm not the greatest games player but I haven't completed it. Quite rare, so if you you are a collector and see it, pick it up. 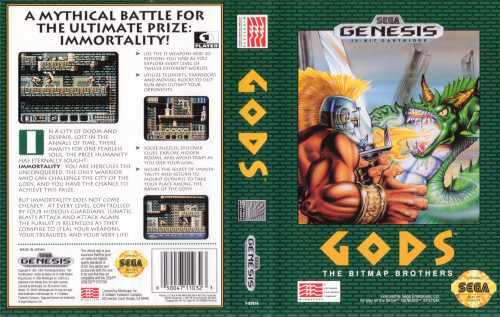 Whenever I think of this game I always think about the hype and controversy the Bitmap Bros. caused becaused some bureaucracy prevented it's conversion...and then it came out and everyone shut up. Not bad though. 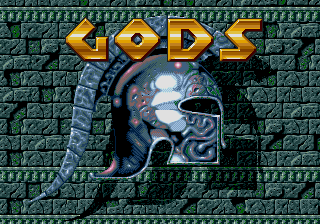 if you like this game you may check www.gods-country.de . This game is way hard I've found YET I'll persevere as Speedball 2 was class and I think the Bitmap's may have hidden depths. I played the Amiga original first and then got the cart for MD. I don't know why they did it, but the fact is that MD-version is at least 2 times faster than the original, which makes it almost impossible to play and complete (too difficult!!!). 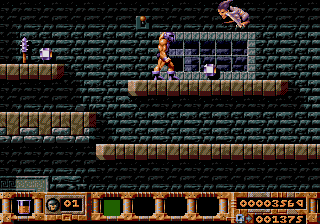 Anyway, I switched back to Amiga version and successfully finished the game. Can anyone explain why they sped up the game on SEGA MD?